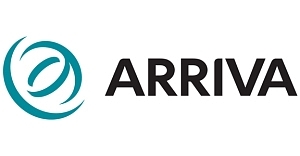 Arriva run a 50 person call centre in Luton that deals with all of the phone calls for the UK. The call centre takes enquiries from all over the country. In order to provide the greatest concentrations of knowledge and highest service standards the centre dedicates staff regionally into teams covering South East, Midlands, North West and Yorkshire. In addition they deal with calls for ATSL non emergency patients transit services. The call centre averages 1000 inward calls a day. This can rise steeply in extreme weather conditions such as snow and its busiest periods is August to September when students purchase services and then need to understand them and correct any misunderstandings or mis-purchases. The centre deals with enquiries and complaints. Given the nature of the calls being about public transport and the relative urgency of the calls a proportion of the calls can be aggressive and stressful. Calm People were invited in to discuss their areas of expertise and how they may impact upon employee wellbeing. 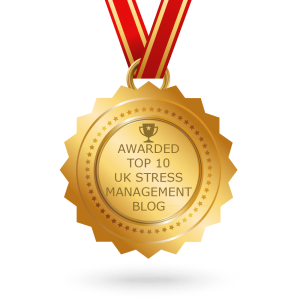 Dealing with stress both in and out of the workplace. It was agreed that the two main issues that were of a priority were stress and dealing with conflict. This workshop recognises that simply because an individual is better at dealing with aggressive and challenging customers it does not reduce the number of aggressive and challenging people they have to deal with. Whilst skill improvement can increase confidence it does not stop the emotional attrition of dealing with difficult and challenging people day in and day out. This workshop combines essential resilience tools which combined with self understanding increases the individual’s ability to empathise and remain resilient. In addition we build in tried and tested techniques and strategies that build upon your existing customer service skills. Our experience tells us this overall combination to be most effective. A 2 day workshop with a minimum 1 week break built in between each day to allow delegates to assimilate what they learn on day one and review as part of day 2. Conflict at work and the roles we choose to take. Whenever an organisation buys into the Calm People way we ask if we can measure results after the workshops. We are well aware of the halo effect that can cause positive feedback to be given at the end of a workshop on the delegate feedback forms. This coupled with the human desire not to offend the facilitator means that scores immediately after a workshop are not reliable other than for measuring the overall experience. At Calm people, where organizations allows us, we survey delegates 3 months after the workshop across 11 statements which they score how they were pre and post workshop. This enables us to produce definable data and prove that their is more than simply a feel good factor to our work. The data below is based upon a scoring system of 1-10 with each delegate asked to give their score pr-workshop and post workshop for each statement. Even a 0.5 point improvement on a given area can be considered a strong. This provides effective gap improvement analysis, demonstrates value for money and also emphasises the long term effects of the workshop. · Using this type of scoring improvements of even half an average point above an individual’s personal baseline score are significant. · These post course scores were taken almost 3 months after the workshops ran. This is particularly significant since the major worry with any intervention or workshop is how long the impact lasts. I’m proud of these. Individual’s ability to deal with stress.